Another photo from last Saturday's races on the river. 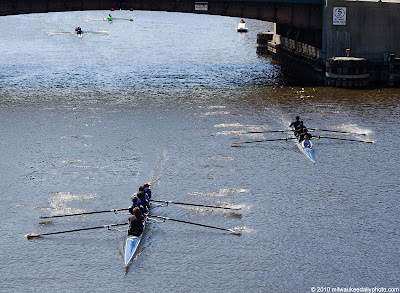 The men's fours head upstream, and this was the tightest group of teams we saw that day. It was exciting to see them jockey for position and pass one another.